1. dislocation or separation of two normally attached bones between which there is no true joint. See illustration. Diastasis of the pubic symphysis. From Dorland's, 2000. 2. an abnormally large separation between associated bones, as between the ribs. 3. the rest period of the cardiac cycle, occurring just before systole. Called also diastasis cordis. diastasis rec´ti abdo´minis separation of the rectus muscles of the abdominal wall, sometimes occurring during pregnancy. (dī-as'tă-sis), Avoid the mispronunciation diasta'sis. 2. The midportion of diastole when the blood enters the ventricle slowly or ceases to enter prior to atrial systole. Diastasis duration is in inverse proportion to heart rate and is absent at very high heart rates. 1. dislocation or separation of two normally attached bones between which there is no true joint. Also, separation beyond the normal between associated bones, as between the ribs. 2. a relatively quiescent period of slow ventricular filling during the cardiac cycle, occurring just prior to atrial systole. Diastasis of the pubic symphysis. 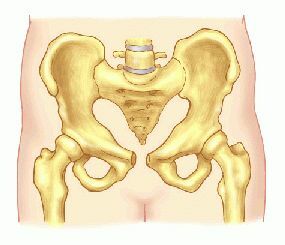 the forcible separation of two parts that are normally joined, such as parts of a bone at an epiphysis, two bones that lack a synovial joint, or two muscles, as in diastasis recti abdominis. 1. Any simple separation of normally joined parts. 2. The midportion of diastole when the blood enters the ventricle slowly or ceases to enter before atrial systole. Diastasis duration is in inverse proportion to heart rate and is absent at very high heart rates. Separation of normally adjacent bones without fracture. 1. dislocation or separation of two normally attached bones between which there is no true joint. Also, an abnormally large separation between associated bones, as between the ribs. 2. diastasis cordis, the rest period of the cardiac cycle, occurring just before systole. 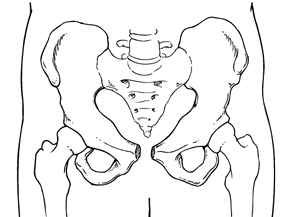 The investigators found that each millimeter of pubic symphysis diastasis or inferomedial pubic bone fracture displacement was associated with a 10% increased risk of urethral injury. Congenital diastasis of the inferior tibiofibular joint: a review of the literature and report of two cases. The diverse histories led to a common pathway of diastasis and similar restriction of physical activity. Key words: Diastasis recti, inter recti distance, postpartum. Las indicaciones quirurgicas abarcan: inestabilidad del primer radio, diastasis en fractura de sesamoideos, sesamoideos bipartitos, retraccion de sesamoideos, HAV traumatico, perdida de espacio articular, lesion condral o en caso de fallo de la terapia conservadora (65,66). Fixation of diastasis of the inferior tibiofibular joint using the syndesmosis hook. repair of the diastasis should only be performed for compelling reasons. Recommendations deal with various topics including, but not limited to: care of the perineum, hormonal changes, relaxation techniques, internal vaginal stretching techniques, exercises for pelvic floor release, episiotomy or perineal tears, exercises for strengthening pelvic floor muscles, assessment of diastasis rectus abdominis and massage techniques for scar tissue. Acute presentation is most often due to the sudden rupture of the peroneus longus tendon or diastasis of multipartite fragments. With Diastasis Recti, biomechanist Katy Bowman offers a logical, long-term, and whole-body strategy that not only addresses diastasis recti, but also general core weakness, pelvic floor disorders like prolapse, and hypermobility. Her twins were born at 35 weeks by emergency caesarean, leaving her with diastasis recti, or abdominal separation, which means her tummy sticks out. A comparison of the clinical features of the two probands with those reported in the literature  Clinical features Proband B Proband S Macrosomia Yes No Macrocephaly Yes Yes Hypertelorism, epicanthic folds, Yes Yes downslanted palpebral fissures Redundant skin over glabella No No Macrostomia Yes Yes Macroglossia Yes Yes Midline groove lower lip or tongue Yes Yes Cleft lip or palate or high, narrow palate No No Macrognathia Yes No Congenital heart disease Yes Yes Conduction defects No No Diastasis recti/umbilical hernia No No Diaphragmatic hernia No No Renal dysplasia/nephromegaly Yes No Cryptorchidism/hypospadias Yes No Hand anomalies No Yes Rib anomalies Yes Yes Table 2.